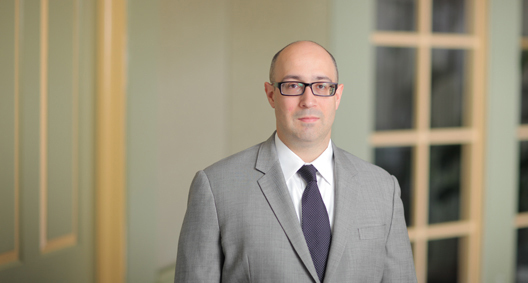 Mark DeLaquil is an experienced advocate who focuses on appellate practice, complex environmental and regulatory proceedings, and political law. Mark has been recognized by Chambers USA for environmental litigation (2015), and has been named by Law360 as one of the "Top 5 Environmental Attorneys Under the Age of 40" on two occasions. He has also been designated as a Super Lawyers “Rising Star” (2014). Represented state and private clients in Clean Air Act administrative proceedings and litigation, including preparing comments on proposed actions and contesting them in courts of appeals. Has extensive experience in actions concerning climate change, air quality standards, emission standards, preconstruction and operating permits, and state implementation plans. Represented parties in appeals throughout the United States and argued numerous appeals in the Second, Seventh, Eighth, Ninth, and District of Columbia Circuits. Represented clients in a full array of campaign finance matters, from counseling compliance to successfully challenging the enforcement of state campaign finance law. Represented a manufacturing company in an administrative proceeding defending the validity of its preconstruction and operating air permit. Counseled a leading electric utility on Clean Air Act compliance strategy and the potential legal implications of climate change for the U.S. industry. Argued appeals on behalf of manufacturers in support of affirmance of a decision dismissing a citizen suit alleging violations of the Clean Air Act preconstruction permitting program. Argued an appeal on behalf of a nonprofit organization in support of affirmance of a preliminary injunction stopping a criminal investigation. Argued an appeal in support of the reversal of a decision confirming labor arbitration awards. Argued a challenge to a decision revising approval of a state implementation plan arising out of the Clean Air Act greenhouse gas regulation. Lead trial counsel or co-lead trial counsel in numerous federal court trials. Lead trial counsel in an action obtaining permanent injunction barring the enforcement of state law binding delegates to national party conventions to the results of a presidential preference primary. Co-lead trial counsel representing inventor in bench trial on whether the inventor was barred by prosecution laches from obtaining multiple patents. The court granted judgment on partial findings in favor of inventor. Lead or co-lead trial counsel in multiple federal court actions to obtain patents. Represented parties and amici curiae in proceedings before the U.S. Supreme Court and nearly all of the U.S. Courts of Appeals. Represented an amicus group composed of all former Secretaries of Defense and members of the Joint Chiefs of Staff in an appeal of a decision denying qualified immunity to former Secretary of Defense Donald Rumsfeld, helping secure a rehearing en banc. Represented an amicus group of law professors before the U.S. Supreme Court supporting a petition for certiorari and merits proceedings in a global climate change public nuisance suit against electric utilities. Obtained a preliminary injunction barring the enforcement of a state law requiring certain social welfare organizations to register as political committees. Obtained a preliminary injunction barring the enforcement of a state law barring coordination between candidates and unaffiliated organizations concerning issues advocacy. Argued an appeal seeking affirmance of a decision enjoining a criminal investigation into alleged state campaign finance violations. Has counseled businesses and nonprofit entities on compliance campaign finance and ethics law requirements. Law360 "Top 5 Environmental Attorneys Under the Age of 40"
ALI-ABA: Faculty of Global Warming: "Climate Change and the Law"